Welcome to Travel Guide 2 Canada, the site about travel, tourism and vacations in Canada. Canada is the 2nd largest country in the world. The country is bounded by the Atlantic Ocean in the East, the Pacific Ocean in the West, and the Arctic Ocean to the North. Canada's only land borders are with the United States of America - with whom it shares two such borders - the long southern border, and another border with the US state of Alaska in the Northwest. Canada has a population of almost 33 million as of 2007, the vast majority of whom live within 100 miles (161 kilometers) of the southern border with the United States. The population is growing fast, partly as a result of natural growth, but primarily due to immigration; Canada has the highest per capita rate of immigration in the world. 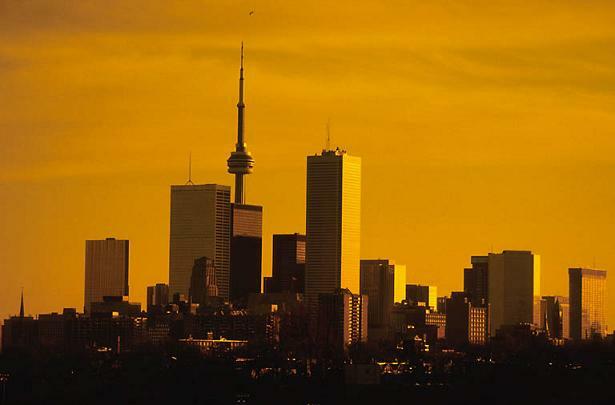 The largest city in Canada is Toronto, which has a population of around 2.5 million in the city itself, and about 5.5 million in the metropolitan area. The capital of Canada is Ottawa. 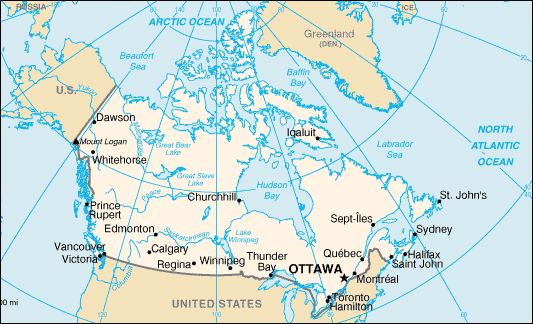 Other important cities in Canada include Edmonton, Montréal, Vancouver and Winnipeg. Canada has a highly-developed free-market economy with one of the highest GDPs per capita in the world. The Canadian economy is unusual for that of first world nation in that the country is a net exporter of energy, and that the country is home to a large primary sector including logging, mining, metal and oil extraction. Canada is also a globally important agricultural producer, especially of wheat, and is home to a significant manufacturing sector, including automobile and aerospace manufacturing. International trade, especially trade with the United States is very important to the Canadian economy, and Canada has a free trade agreement with the US since 1988 (which came into effect in 1989), and formed the North American Free Trade Agreement (NAFTA) with the United States and Mexico at the start of 1994. There are many reasons to visit Canada. These include golf, skiing, wonderful natural landscapes, and culturally rich cities.